Need a new wallet? This one is GREAT! 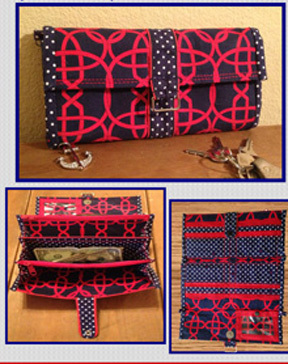 It holds currency, coins, credit cards, your checkbook, and more. And it’s cute to boot. 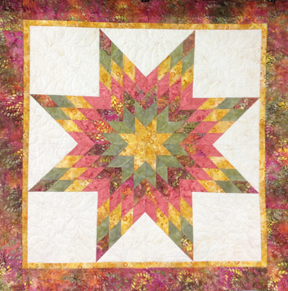 Judy Bryan will teach this half-day class. Sign up today. 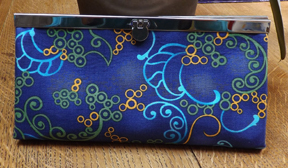 For BERNINA Club this month we'll watch a presentation courtesy of the BERNINA educators on how to make this great wallet. It's a fairly advanced pattern so we won't stay to sew after the presentation. If you're interested in making it, come for the tutorial and them tackle it at home when you're feeling ambitious. As is the case with all BERNINA Club presentations, you're sure to pick up a few tips and tricks! Recently here at the shop we hit the wall. Well, actually, we hit the closet. Batting scraps inside were running over, taking over, and we're pretty sure the pile spontaneously grew when the closet door was closed and the light was off. Emily bravely tackled the stacks, bags, and boxes and thing are once again under control - at least for the moment. This got us thinking about uses for batting scraps. You have a batting stash, right? 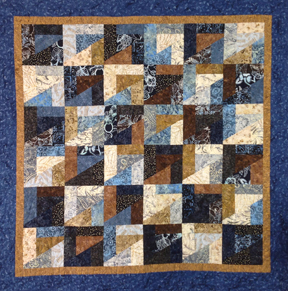 Here are some ideas to use up scraps, bits, and pieces that are too small to realistically stitch or fuse together for a quilt or other project. 1. Cut scrap pieces into squares of a uniform size (5", 6", 8", etc.) and use them the next time you make a raggy shaggy. These sizes also come in handy for quilted coasters and mug rugs. 2. Sandwich pieces of batting between muslin or to practice free-motion quilting. 3. Use small scraps as stuffing for pet beds, pin cushions, and fabric toys. 4. Use batting scraps to wipe down your sewing machine, computer monitor and other surfaces that attract lint. 5. Have a Swiffer? Cut batting scraps to fit and save a few dollars. 6. Use as packing material when shipping something that's fragile. Remember . . . waste not, want not!